Welcome to the city of Saint Marks Florida | Nature at it's finest!! View the devoted elected officials of St Marks who over see the development and improvement of our beautiful city. St. Marks is one of the oldest settlement in North America and is believed to be the third oldest in the new world. Browse through the business directory to find services from local companies. St. Marks is one of the oldest settlements in North America and is believed to be the third oldest in the new world. However, their is evidence that even before various explorers reached our shores, the Paleo-Indians were here over 10,000 years ago. The first European explorers in our area date back almost 500 years. Panfilo de Narvaez first landed in what is now Tampa in 1527 and reached the St. Marks area in 1528 with nearly 300 sick and hungry men. They proceeded to beat their swords and armor into nails and use horsehide for rigging as the first “ships” built by Europeans in this country were constructed. They sailed out of the area in late 1528. In 1539, Hernando de Soto arrived and is believed to have found skeletons of the horses that Narvaez had butchered and dried for food to take on their boat journey. The first use of St. Marks as a port was when De Soto met one of his ships in the bay to send them and his fleet on further west. 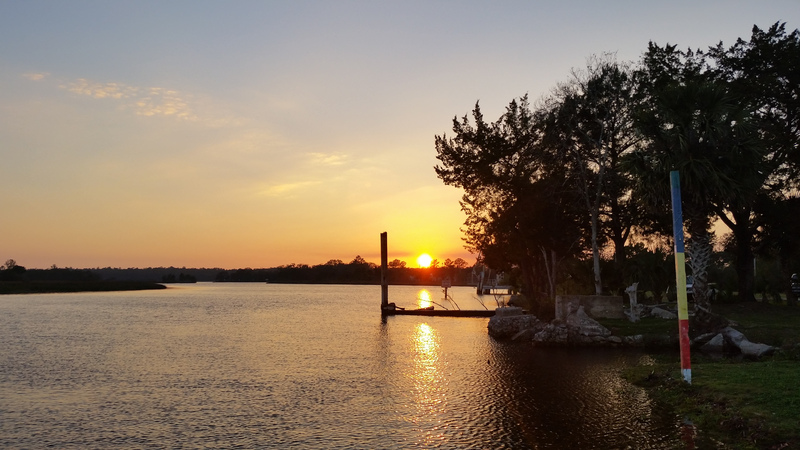 The first fort, San Marcos de Apalache was constructed at the confluence of the Wakulla and St. Marks Rivers in 1679 to protect the Spanish missions in the area. Between 1792 and 1801 Panton, Leslie and Company operated the first trading post in West Florida. 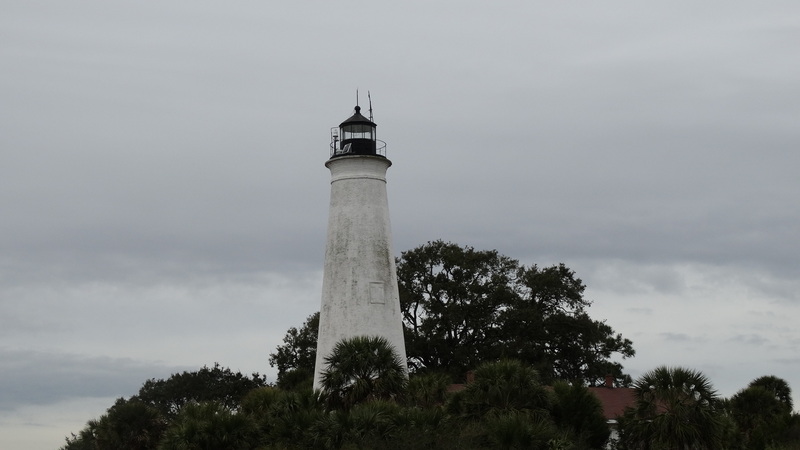 It was located just north of the fort on the Wakulla River. 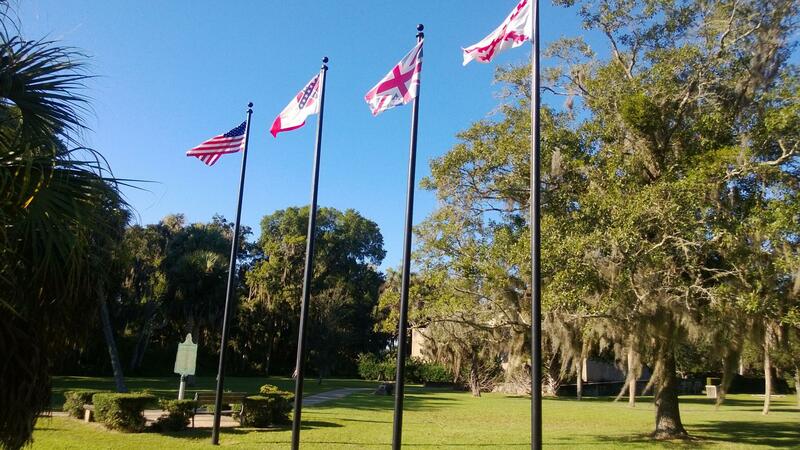 Five flags have flown over the fort. The Spanish flag being the first, followed by the British who held the territory for twenty years; then in 1800 William Augustus Bowles flew the Muskogee flag for a very short time, just weeks. In 1821 Spain transferred Florida to the United States (Andrew Jackson became Florida’s first territorial governor) and during the Civil War, Florida joined the Confederacy and thus the Confederate flag was flown. By 1823, St. Marks was well established as a port. It was the meeting place for representatives from St. Augustine and Pensacola who identified the red hills of Tallahassee as the suitable location for the state capital where it remains today. In 1834, the St. Marks Railroad was chartered as the first in Florida and the third in the United States. It began operation in 1836 and operated variously as a mule drawn train and as a steam driven one. St. Marks was first incorporated by the United States Congress in 1833. Originally, it was known as “Tallahassee’s Port City” especially after the Tallahassee-St. Marks Railroad was completed. (As many as 50,000 bales of cotton were shipped from St. Marks annually before the Civil War). In 1961, its residents voted to reactivate a 1927 charter. Today, St. Marks is an incorporated municipality governed by a five member board of commissioners who are elected by the citizens. St. Marks has been an important seaport for three distinct historic periods. First the shipping of cotton in the 1880’s; then commercial and recreational fishing, followed by importing storage, refining and handling of petroleum products. Today the petroleum industries have declined and recreational and commercial fishing continues to flourish along with diverse array of boating activities. The railroad has become a very active “Rails to Trails” corridor for runners, cyclist, horseback riders, etc. and the fort has become a wonderful state museum.